Offset Hubs Can Save You Money When Building Your Home- Armchair Builder :: Blog :: Build, renovate, & repair your own home. Save money as an owner builder. What are offset hubs and how are they going to help me save money when building my new home? We just received a question similar to this from one of our readers. An offset hub prevents you from having to pay a surveyor to come back to your new home site after the foundation is excavated. Let’s take a look at these in more detail to see how they can improve your schedule time and save on your budget. 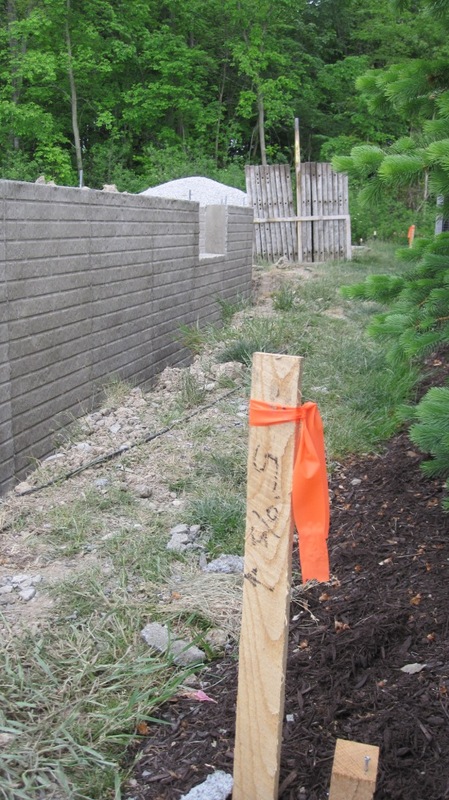 An offset hub is a stake placed off to the side of your new home. Typically, builders have the surveyor place two sets of these (four stakes in all) off to the side of the house stakes. The traditional stakes made of wood lathe mark the corners of the future building to be constructed. This tells the guy running the backhoe where to dig. This is great for the excavation of the future foundation but what happens when the foundation contractor comes out to the site to set forms for the foundation? Don’t forget, the house stakes mark the actual corners of the building. So, when the hole for the foundation is dug, the dirt comes out…along with the stakes. You could have the surveyor come back after the hole is dug to mark the exact foundation location but this costs extra money and time. Tah dah. The offset hub is born. Builders have the surveyor set four stakes off to the side so the foundation contractor has a reference for the exact location of the building after the excavation contractor removes the stakes at the house corners. Take a look at the picture below showing the offset hubs in red. By measuring 10′ from these two hubs, you get the corner of the future building. Your engineer will place these on your plot plan so the surveyor knows where to place the hubs. 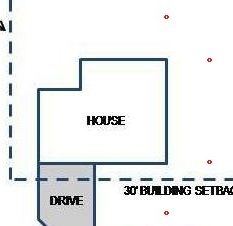 You will also give a copy of the plot plan to the foundation contractor so they can see which corners of the foundation the offset hubs reference. Using these four stakes, anyone can locate the future building location. These offset hubs will save you a day in your building schedule and a couple hundred bucks in your budget.